We were tasked with creating the identity for a start-up gym called Body Society. Starting from scratch we looked at how this brand could be positioned within a flooded market; how can we make this gym stand out from its competitors and how can we make it more appealing to gym goers? Looking at what the competition doing was key to making a brand that was distinct and unique within this marketplace. We tried to make something that honed the mission of the brand; offering more than just a gym. Working on concepts and theme ideas to begin with, we started to shape the personality for the band by working out what it was and was not. 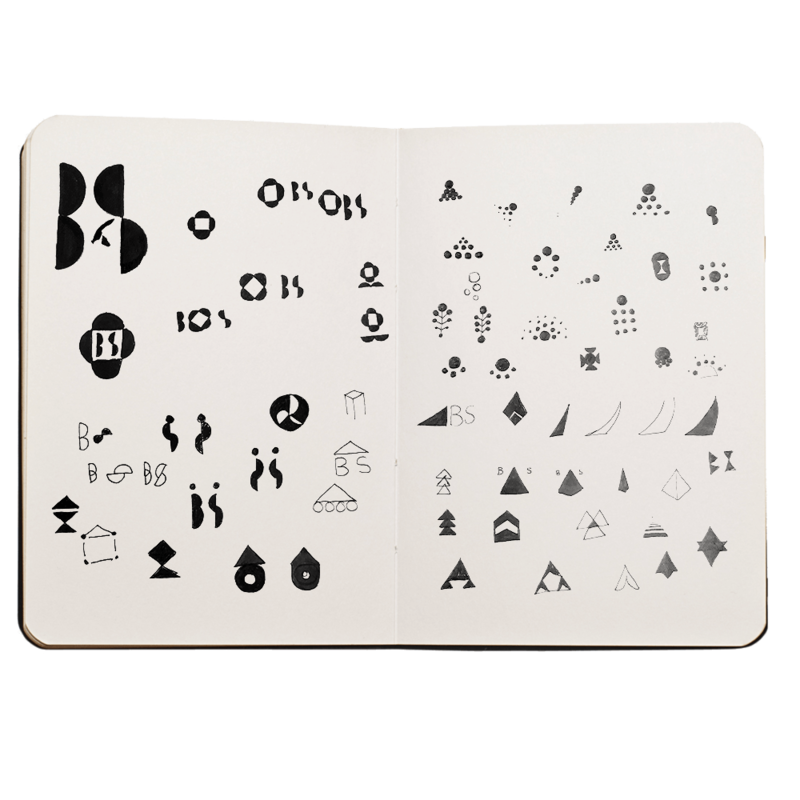 This then slowly created a channel of vision in which multiple ideas for logo and identity were explored. These were done with the end aesthetic being considered as a whole and not solely working on the mark and logotype. 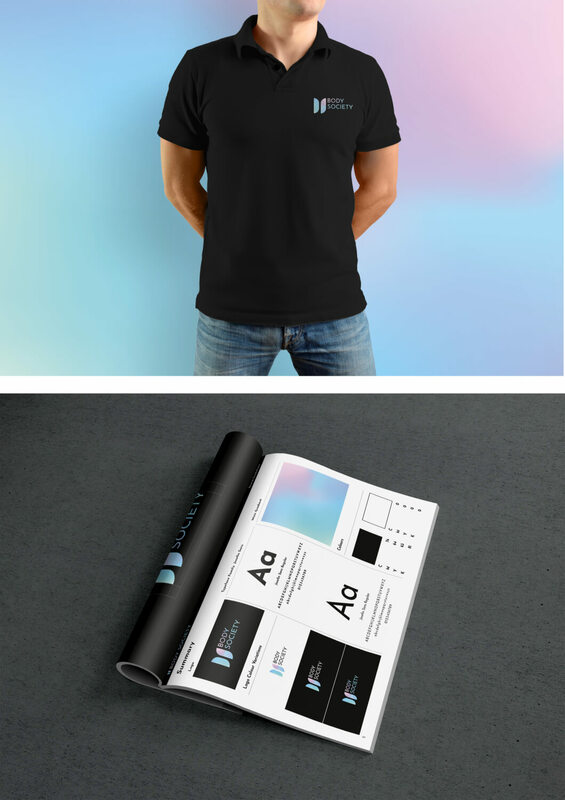 After ideas were explored and refined, we got closer and closer to the brand identity and began working with colours and graphics. We also started looking at photography styles, wayfinding and marketing materials. Working on these in tandem allowed us to build up the whole picture of the brand and create a coherent aesthetic with consistency. It was also important to Body Society that we developed their brand with their target audience at the forefront of our minds as this would ensure they were attracting their desired customers. They wanted their brand to appeal to 30+ individuals, mostly women (80%), with a healthy mindset knowing what they want, looking for quality high end professional training sessions and classes. 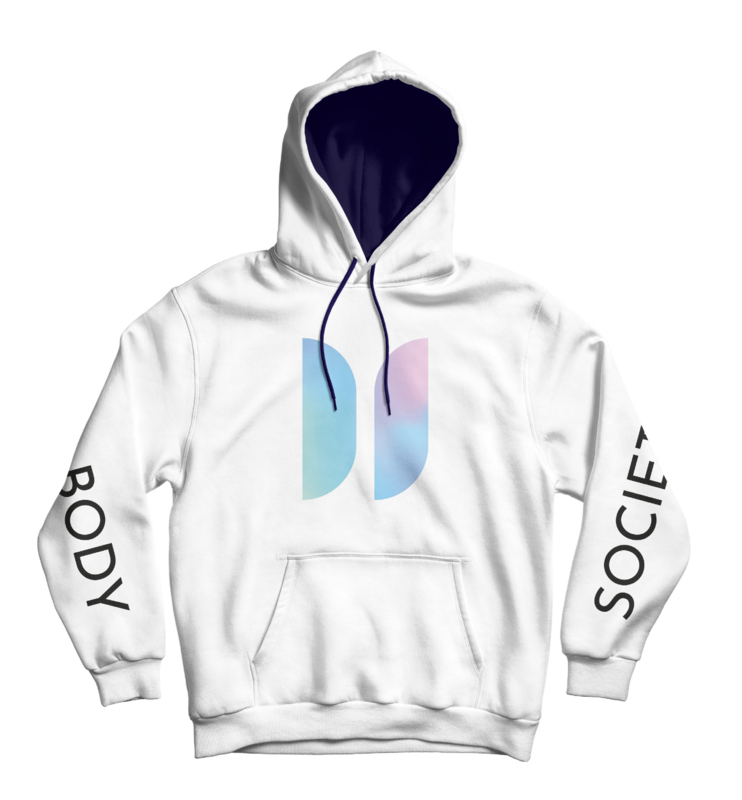 In the end we created the identity for Body Society which was worked in Social Media, Apparel, Marketing, Wayfinding, Stationary and a Website, as well as other mediums. With the aesthetic being set we continued to work on the brand as it evolved and took them to the launch and beyond.